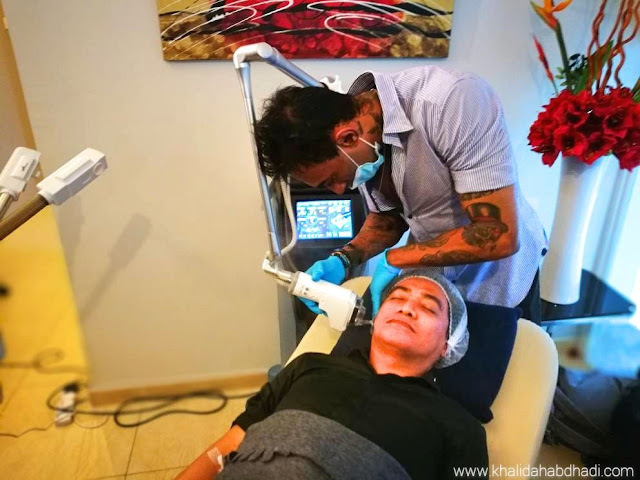 Last two weekends I was lucky enough to witness with my own eyes the very first Laser treatment in a session of Live Aesthetic Demo Treatment by Toscana Medi Clinic. Yes, Aesthetic clinics are know have grown their names here in Malaysia. But, like me. 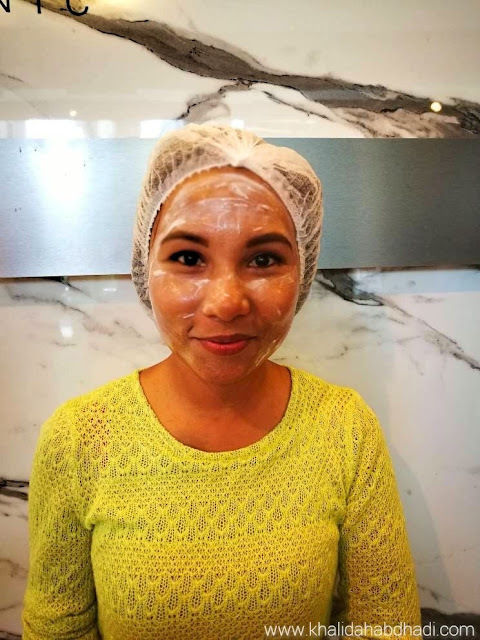 I'm sure most of us will have that one tiny bit of curiosity feelings mix with that danger-scared imagination of having your face laser-ed right? Who wouldn't right? Laser pointed out at every inch of your face. 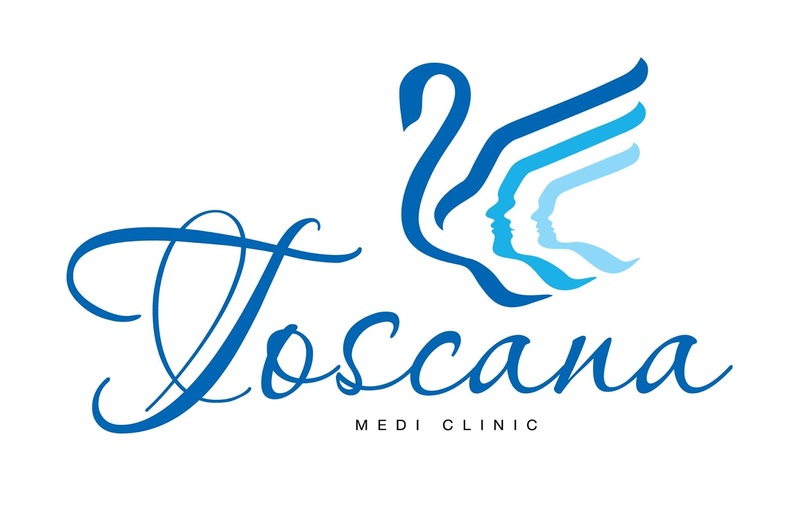 Thanks to Toscana Medi Clinic and with the help from their experienced Doctors, now you may leave your doubts and feelings hanging in front of their clinic. 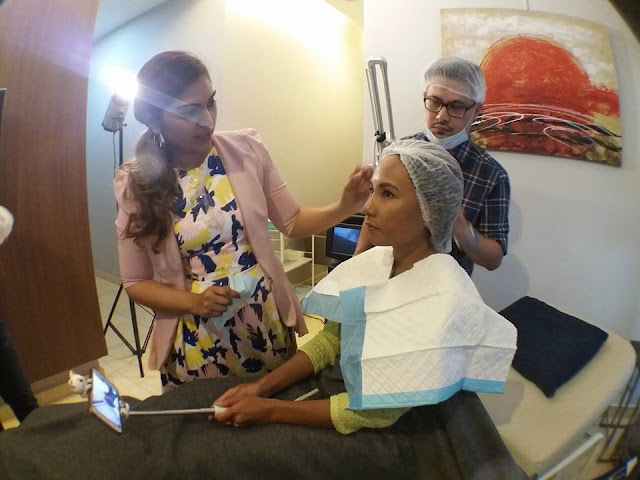 Watching Live Aesthetic Demo really opened my eyes on how carefully the procedures and treatments will be done. 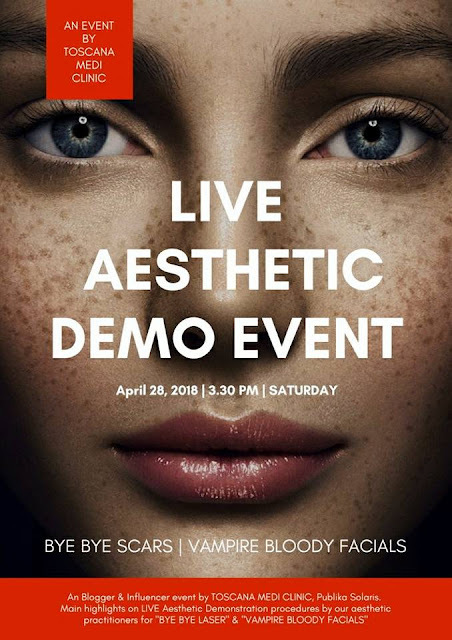 Bye Bye Scars and Vampire Bloody Facials are the two treatments Toscana highlighted that day. 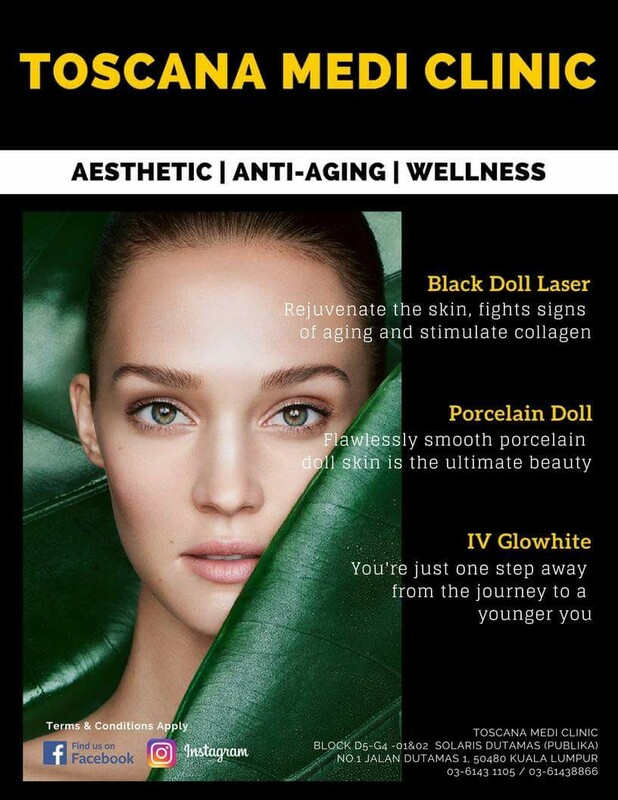 Both treatments use PRP method. PRP is a method whereby the doctor uses patients own blood cell stem that is originally in patients blood. Dr Kanval Gill briefed us thoroughly before starting the demo to one of our blogger friends attended that day. Believe it or not, this method is more fast proven as the aesthetic content is higher in blood and able to stimulate hormone growth naturally, he added. Each steps he showed us comes with detailed and friendly explanation. For Bye Bye Scars, the Doctor started with laser treatment. 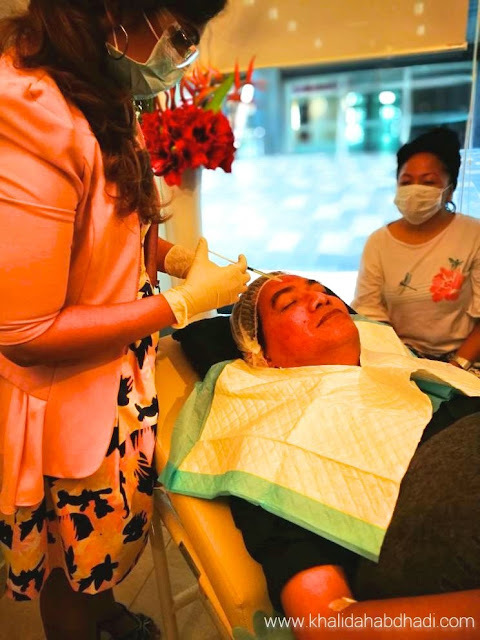 Okay, 'nuff with the keterujaan you guys with that Bye-Bye Scars Treatment followed with PRP Method tu. Now, let's proceed with the Vampire Bloody Facials. This treatment is solely known as Vampire Bloody Facials as it involved 100% blood that's drawn out from your hand or known as the PRP method as explained before. 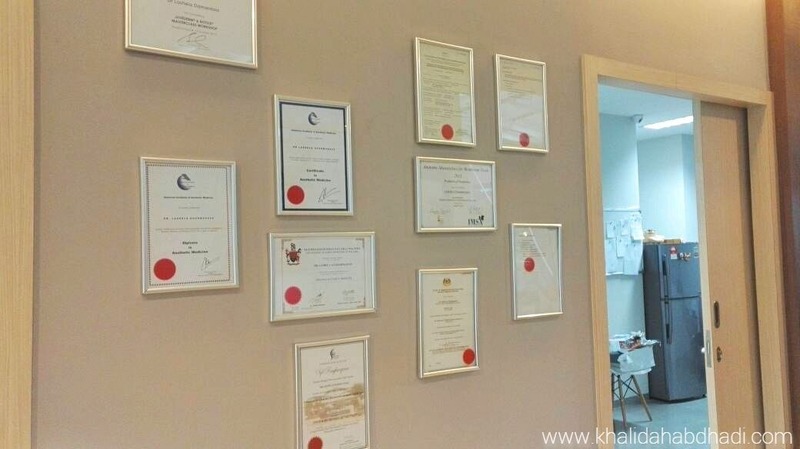 Unlike Bye-Bye Scars, this treatment doesn't involve any laser. Dr Lashela, one of Toscana Medi Clinic doctors explained that this treatment has long used in well developed countries like Japan and Europe. Despite it may sounds too 'rare' in our country. In early days, this vampire so-called treatment is widely and commonly used in medications. Especially, chronic diseases such as heart surgery, orthopedic and neurologist. 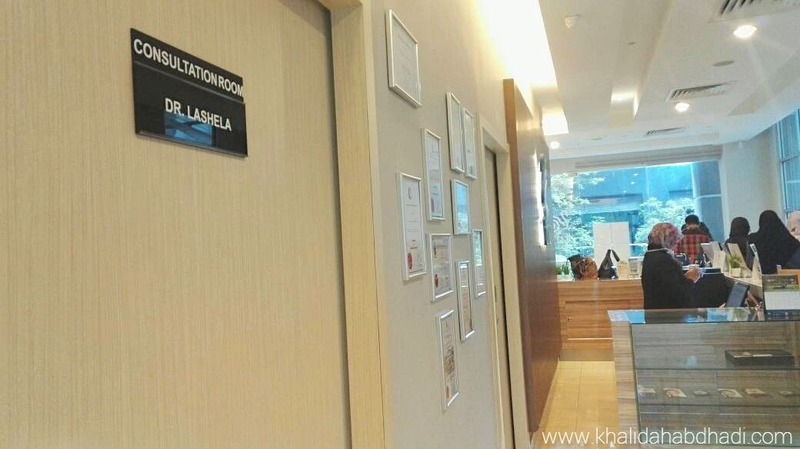 However, since this medical scope is getting wider; it is then have been used and practiced among athletes to treat their ligaments tissue and torn tendons. This is before the Vampire Bloody Facials. Patient is advised to put on numb cream for few minutes. Before the Vampire Bloody Facials begun. Dr Lashela explained on the step by steps. Picture credit to Rosmawati Aboo Hassan. 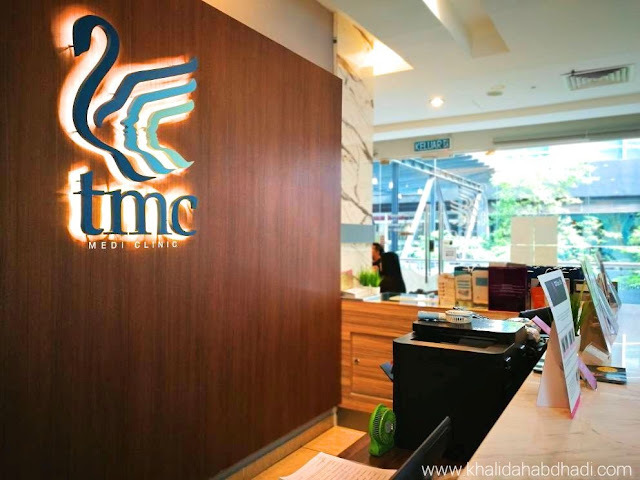 And not to mention that this medi clinic is quite spacious too! You can always buy from them tau! 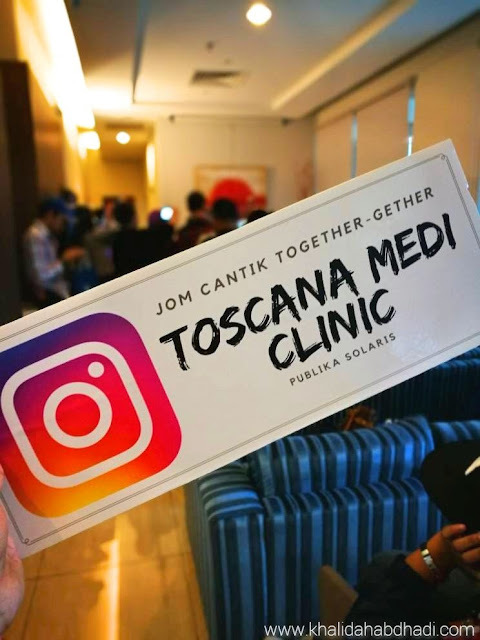 Anyway, I have set my appointment nak ke Toscana later. Ye lah, nak raya kan, kena cantik cantik🙊 Dengar cerita, they are doing raya promotions too! So, grab their promotion cecepat tau ladies! Okaylah, done sharing with you guys here.